While it is never a conversation we look forward to, planning for the future can help to make transitions easier down the road as your health declines. While a will outlines your wishes for assets, it doesn’t include other essential items of elder care and estate planning like power of attorney, living trusts and conservatorships. Whether you or your loved one has moved into a retirement community or is still living independently, it is never too early to make legal arrangements should dementia, Alzheimer’s or a severe disability take over. Ensuring a trusted friend or family member will serve as your Power of Attorney gives you comfort in knowing that your financial, medical and legal wishes are carried out in accordance with your wishes. A living trust can be another option to consider. In this option there is no requirement for the estate to go through the probate process, where courts determine the validity of the will, the value of described assets and the distribution of them. Since a revocable living trust technically doesn’t go to an individual but a trust, probate can be avoided. Not only will this simplify the proceedings after death, it will also keep them private. In addition to power of attorneys and living trusts, there are legal measures that need to be taken to ensure your medical wishes are met should you become incapacitated. DNRs, short for Do Not Resuscitate, are one legally binding document that a doctor can provide for you to sign that stipulates what lengths caregivers should go in prolonging your life. 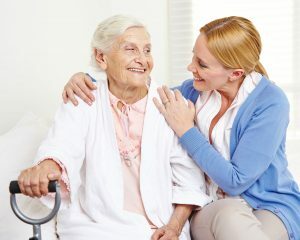 Advanced Directives allow for you to lay out your wishes on a broader variety of medical matters, and can reduce stress for loved ones who may be suddenly responsible for making major decisions about your care should you become permanently unconscious, suffer severe memory loss, or suffer from terminal illness. Should a person become profoundly disabled, a conservatorship can be put in place to ensure affairs are properly managed. A conservatorship happens when the court deems that the beneficiary is unable to administer his or her own finances, legal matters and medical decisions. Once this takes place, the legal guardian is able to make decisions on behalf of the beneficiary. Each option comes with different implications for taxation, estate planning and medical care. Consulting an experienced lawyer can help you plan for your future. Deciding how to handle affairs early can help to relieve the stress put on family. Pre planning also gives you peace of mind that your wishes will be met as you settle into retirement living.